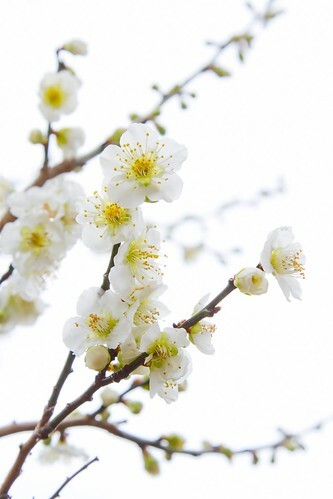 Plum blossoms are the forerunners of spring in Japan. They bloom before the cherry blossoms from early February. To celebrate the flowers, Ume Matsuri (plum festivals) are held in many parks, shrines, and temples in Japan. Below are some of the parks and shrine in Tokyo where you can appreciate the plum blossoms now. The Setagaya Ume Matsuri is held during the above period. This city park has 650 plum trees of about 60 kinds. The Bunkyo Ume Matsuri is held during the above period. Yushima Tenjin Shrine has been a popular place for plum tree viewing ever since the Edo period. There are about 300 plum trees. Ume Matsuri is held during the above period. Free English guided tour (60min) is available at 10am and 1pm every Saturday. Although Shinjuku Gyoen Park is not holding any event for plum blossoms, there are about 300 plum trees in the park. The park is an oasis in the city located near busy Shinjuku area.